The aftermarket is slowly gaining the knowledge and skills necessary to perform recalibrations of advanced driver assist systems (ADAS). With the proper equipment and training, we can now offer a valuable service to customers. Can we relax now? I’m afraid not. The next big thing in our industry will be scanning. Specifically, we will be performing pre and post scanning on vehicles prior to and after the replacement procedure. Whether we like it or not, many vehicle manufacturers are requiring scans when a vehicle comes in for a service or repair. What is a scan? Why is it important? How does it pertain to the auto glass industry? These are important questions and it will take more than one post to explore them adequately, so let’s begin. Have you heard of the OBD-II? The OBD stands for OnBoard Diagnostic (OBD) computer. The II (2) is the version currently being used. Most scanning devices state they can scan any vehicle from 1996 onward because scanning became standardized in 1996. The first OBD device used in a vehicle was in 1968 on the Volkswagen and was used to monitor its fuel-injected system. 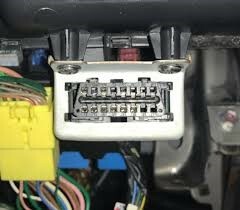 There were different versions of the OBD as time progressed but the 1996 version (OBD-II) standardized the 16-pin design receptacle and the basic requirements for reporting faults. 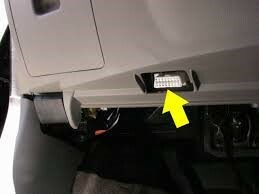 The OBD-II has a port by which a reading device (scanner) can be inserted and is usually found underneath the dash on the vehicle’s driver side. 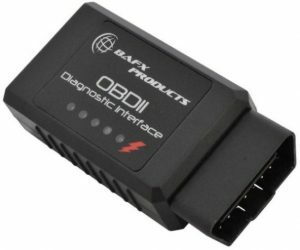 By preforming a scan, you tap into the OBD to find out what is wrong with the vehicles components that are reporting to the OBD computer. Once the scan is completed and the issues (faults) are defined and found, the technician can repair the problem, adjust electronically or simply erase the fault code. Not all scans provide the same picture of included components. The basic components originally required by mandate were simple emission control tracking. Later, vehicle manufacturers added other performance and safety related components to the OBD computer for monitoring, but they are manufacturer specified and not standardized. There are a wide range of scanning tools out there, and they fall into two types. One is a more consumer driven tool. It’s usually inexpensive and gives the user a picture without giving them much technical information or the ability to do any repair or erasure. The other is a more professional tool that can give the repair technician practical information to act upon. My next scanning post will address its importance to auto glass replacement and discusses the ramifications to the industry.